My friend and AccuWeather colleague, Jesse Ferrell, yesterday posted an interesting item about large hail and the largest hailstones in U.S. history. It is here. Check it out as it has a lot of interesting information. 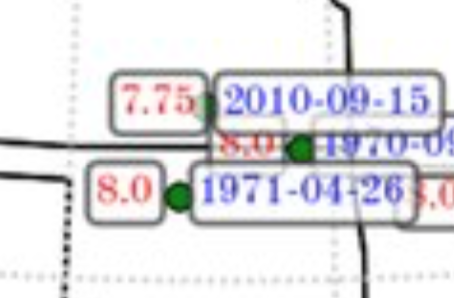 If you look closely at "largest hailstones" map, you'll see the report of 7.75" hail in west Wichita in September, 2010. As usual, this blog was right on top of that situation. 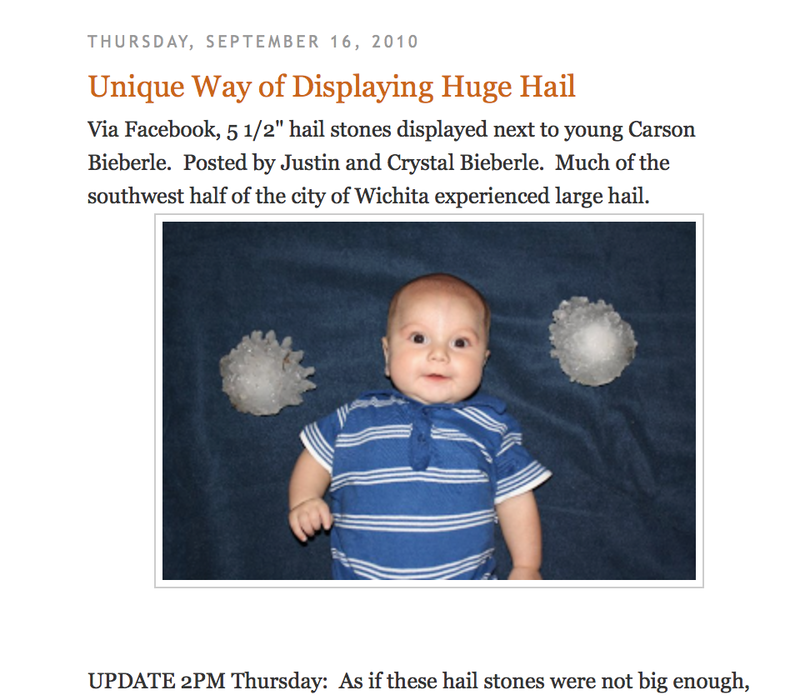 Over time, I have come to call 7.75" hailstones "baby noggin-sized hailstones."